We are excited to welcome Lighthouse Home Loans as our newest sponsor of the market! 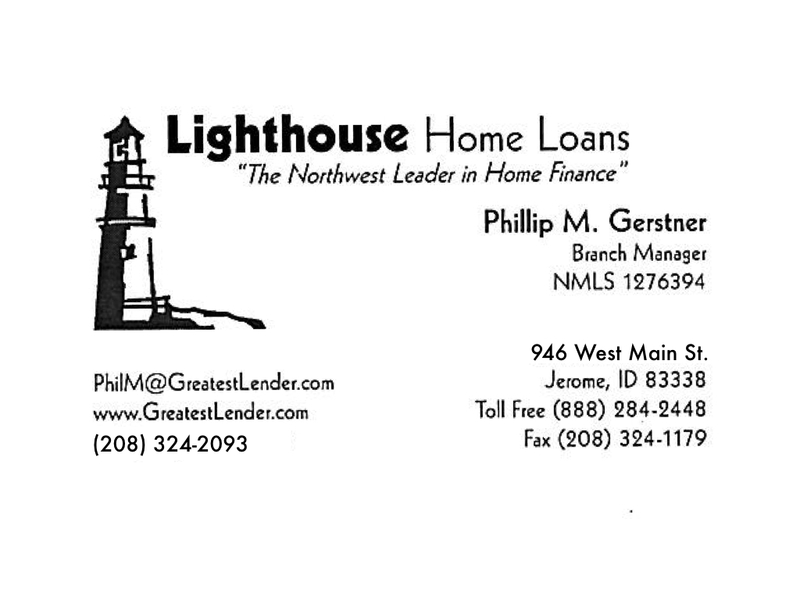 Lighthouse Home Loans Inc. is a leader in the mortgage finance industry, providing mortgage services to residents of the northwest. Our goal has not changed since our incorporation: to be the best mortgage provider in the northwest. Lighthouse Home Loans Inc. is a growing, service-oriented mortgage company. We provide our clients with a combination of modern streamlined loan processing and genuine old fashioned personal service that you can count on. We are committed to expanding growth by providing superior customer value, competitive rates and innovative products to meet the changing needs of our clients. Headquartered in Salem Oregon, Lighthouse Home Loans Inc. ranks among the top mortgage service corporations in the northwest. With branches servicing Oregon, Idaho, and Washington, Lighthouse Homes Loans Inc. prioritizes giving customers the services they can depend on. We are totally focused on the residential mortgage industry. We have dedicated ourselves to creating innovated home financing tools that provide expanded opportunities to the real estate market. We recognize the stress involved in the home buying and financing process. We understand and genuinely care about meeting the needs of our clients. Education, integrity and quality of service are what makes Lighthouse Home Loans Inc. the best choice for your financing needs.